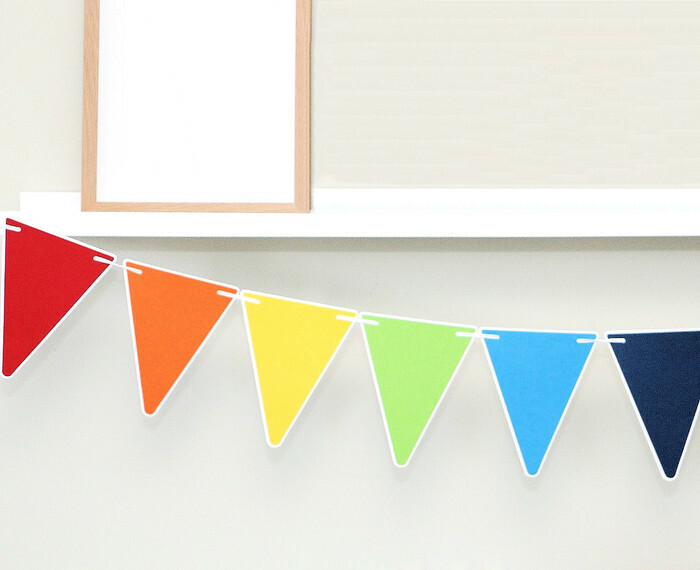 Bright and beautiful rainbow pennant banner. A fun garland made from premium white cardstock layered with textured cardstock in 8 bright colours. Each banner has 16 triangular pennants, the pattern is 8 rainbow colours x 2. Use your banner with your party decor for a baby shower or birthday party. They look great as a feature hanging behind your dessert table, or attached along the front of the table. They also make a pretty photo prop. They are threaded onto a white ribbon - supplied length approx 3m .